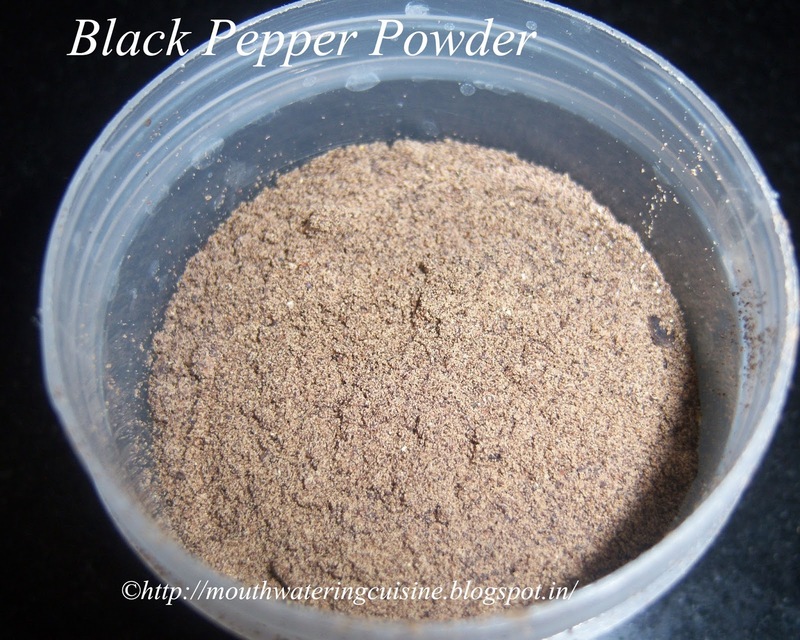 Black pepper powder is also known as kaali mirchi powder(Hindi) or Miriyala Podi (Telugu). It is used in some recipes and mainly it is best used for throat and nasal congestion in winter season. 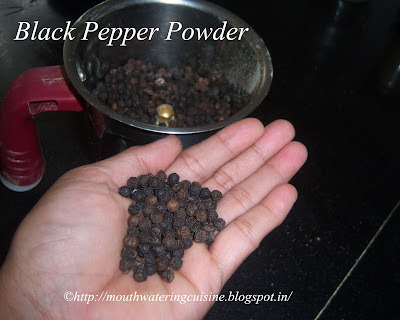 This winter season boil water or milk with a spoonful of black pepper powder, turmeric powder and jaggery, clears congestion in throat and nose. We can use store bought pepper powder for this, but I prefer home made. So I always keep this powder at home. Making it is very easy, just simply sun dry whole peppers for one day and grind it into a smooth and fine powder. Sun dry whole black peppers for one day or six to eight hours. Grind it to a fine and smooth powder. Grind it only when it is hot enough to handle.